From the personal-finance duo Fortune magazine called "funny, smart, cynical, opinionated" comes savvy financial advice for today's street-smart young investors. The Motley Fool has made investing fun and easy for millions of people. Now, it custom designs its wit and wisdom for today's money-savvy teens. The Motley Fool Investment Guide for Teens helps teens stand out from the ho-hum mutual-fund crowd, build a portfolio of stocks they can actually care about, and take advantage of the investor's best friend -- time -- to watch their profits multiply. 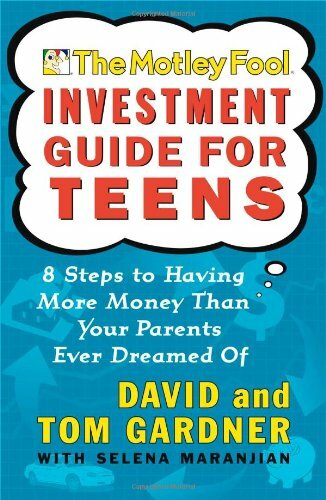 Warning: this is not your parents' money guide! From identifying companies that are both cool and profitable to building a portfolio that makes tracking investments exciting, The Motley Fool Investment Guide for Teens shows young investors the way to financial freedom.